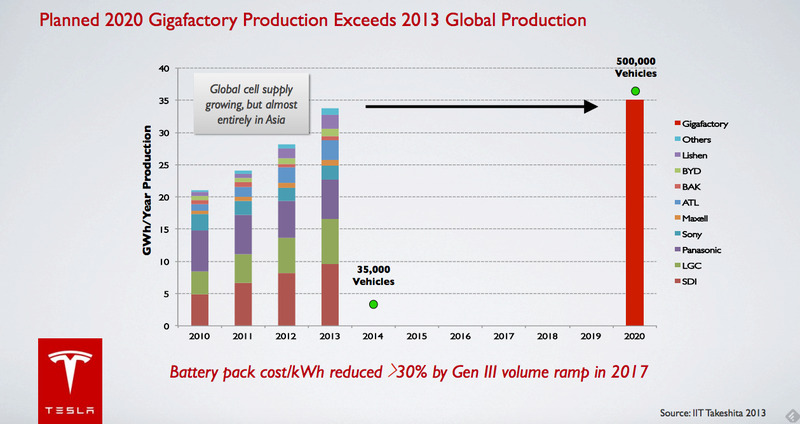 TeslaTesla’s gigafactory will make car batteries. Tesla CEO Elon Musk has responded to critics of his plans to build a battery “gigafactory” in Nevada. And he’s not pulling any punches. Musk defended his company’s plans in a blog post entitled “The House Always Wins,” a reference to casino gambling. Musk was presumably referring to an investigative report in Fortune that detailed how several states competed to build the factory by offering various incentives. Musk noted that the state incentives for Tesla’s factory were approved unanimously by Nevada’s legislature. “The deal is not merely slightly good for the people of Nevada, it is extremely good,” said Musk. The Tesla CEO denied receiving any cash from the state, but did acknowledge that his company had recieved a parcel of land from the deal. 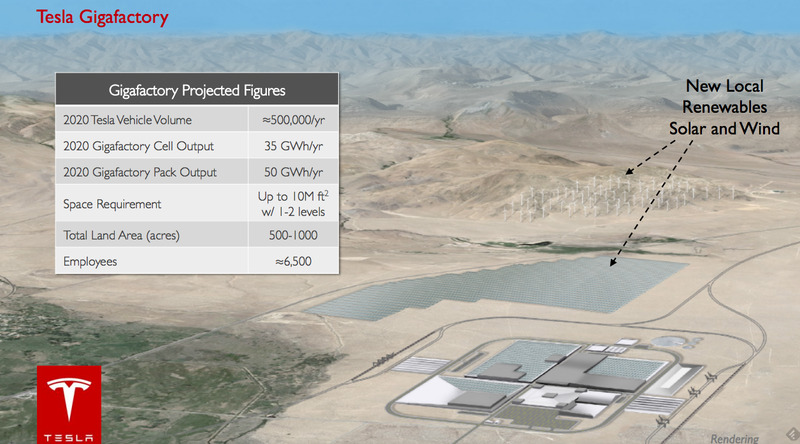 Musk said Nevada’s contributions would only cover a small portion of the Gigafactory’s cost. “Of the $US5 billion investment needed to bring the Gigafactory to full production in five years, state incentives will cover about 5%,” he said. That would value Nevada’s contribution at about $US250 million. The Fortune article said the “tally” for Nevada was $US1.4 billion. Musk also revealed that Nevada didn’t write Tesla a blank check, so to speak. Tesla has huge plans for this enormous facility in Nevada, and the company is making some major “forward-looking” claims about what it will be able to do. Tesla put together a pdf with its future plans for the facility, claiming some major figures by 2020, including a vehicle volume of around half a million per year. Nevada is the entertainment capital of the world, home to the most sophisticated casinos on Earth. As everyone knows, the money to build those resorts arises because the casino houses generally tend notto lose. Even were they to lose, the state of Nevada, through the taxes it collects, would still win — it is the house to the house. They really know what they are doing. To understand why, one must look closely at the terms of the deal. 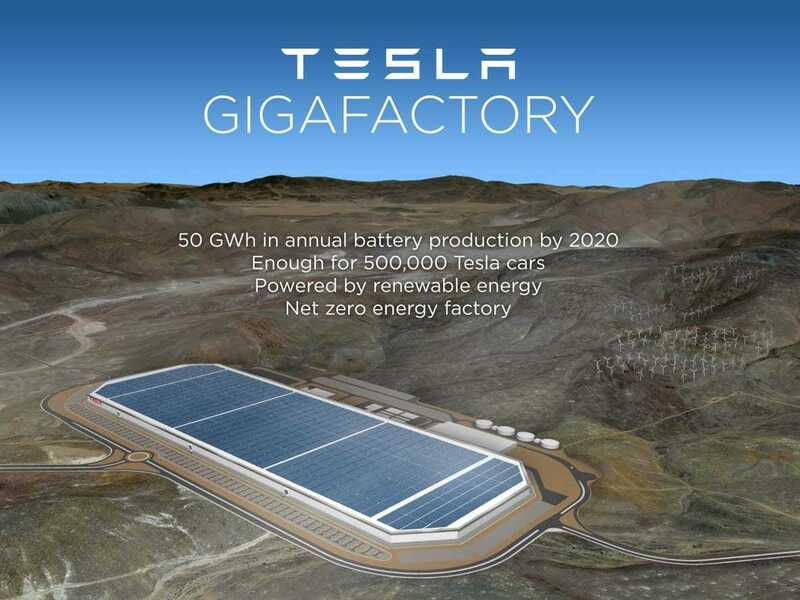 A casual reader of stories about the Gigafactory might assume that the $US1.3 billion number in the headlines means that the state wrote Tesla a huge check for that amount. In fact, Tesla has received no money from the state at all. We did receive land through a swap the state did with our developer, but, if you have been to Nevada, you will notice that there is quite a lot of extra land with nobody on it. This is not in short supply. Of the $US5 billion investment needed to bring the Gigafactory to full production in five years, state incentives will cover about 5%. Compared to the operational and upgrade costs over a 20 year period, expected to be approximately $US100 billion, state incentives will constitute just over 1%. This makes sense: the $US1.3 billion in incentives mostly consists of alleviating a few per cent of annual property and use tax on a huge amount of equipment over the course of 20 years, an average of about $US50 million per year after initial construction. It stands to reason that the beneficiaries of a project should also contribute to its creation. Given that Nevada will have the largest and most advanced battery factory in the world and a very large number of high-paying direct and indirect jobs, contributing about 5% to the initial construction cost and a few per cent to costs thereafter seems pretty fair. At Tesla, we believe in doing deals where both parties benefit, and, when there is an asymmetry or underperformance on our part, interpreting that in the other party’s favour. This is true for big deals like the Gigafactory and for everyday transactions. For example, if you buy or lease our car and don’t like it (within a reasonable amount of time), you can automatically give it back, accounting only for usage and damage. Tesla will absorb loss of the new car premium when reselling it as a used vehicle.